It's the beginning of the end for Flash on the desktop version of the BBC iPlayer, with the corporation launching a new HTML5 beta option for the on-demand service. 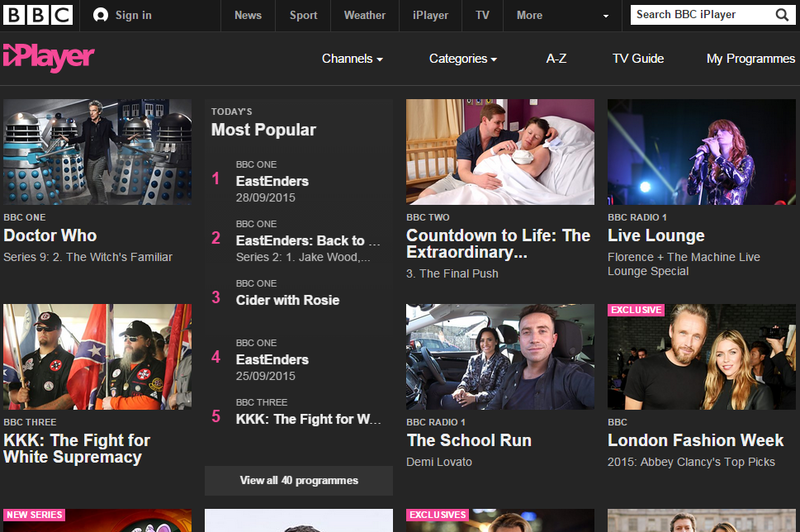 Users are being invited to try out a beta version of the iPlayer using HTML5 via a special opt-in page. The beta service only includes on-demand content, but is compatible with many current internet browsers and operating systems, with the notable exception of Safari. "Although we’ve been using HTML5 to deliver video to iOS devices for some time, until recently we felt that the consistent experience and efficient media delivery offered by Flash outweighed the benefit of moving to HTML5 on the desktop. However, we’ve been regularly evaluating the features offered by the most popular web browsers and we’re now confident we can achieve the playback quality you’d expect from the BBC without using a third-party plugin." In order to provide users with an early chance to try out BBC iPlayer using HTML5 some features haven't yet been implemented, including Chromecast and Playlister. These features will be added "as soon as possible", according to the BBC. The BBC has reassured users who rely on Flash to watch content on the iPlayer that there are currently no plans to switch off Flash streams, but work is taking place to make HTML5 the default option for those who can use it once all features not currently available via the HTML5 service are added and any bugs are removed.